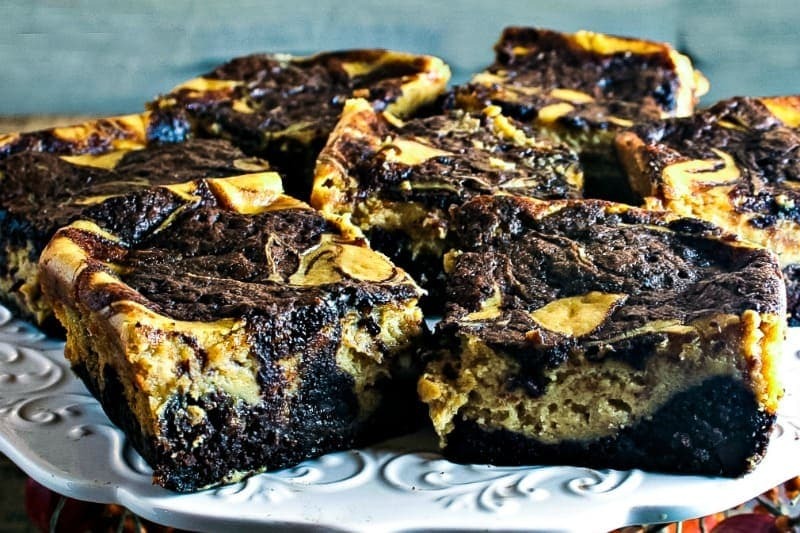 Creamy pumpkin flavored cheesecake swirled into a rich, dark chocolate brownie – pure heaven! Happy November, y’all! 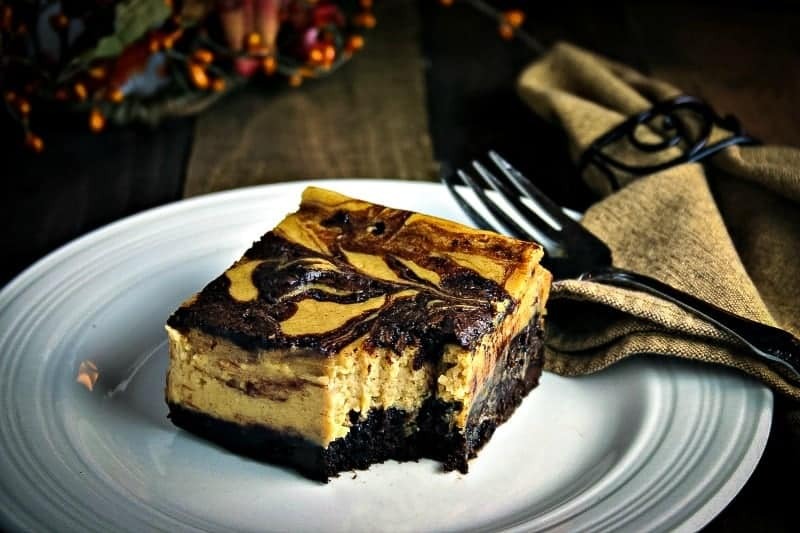 I woke up this morning thinking about the Pumpkin Cheesecake Brownies that I made over the weekend wishing that there was just one more left — they were so delicious! Anyway, as I was thinking about how to describe all their goodness and encourage you to try the recipe, I realized that today is my third “blogoversary”! 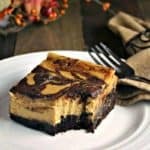 So while I do want you to know that t about all the creamy goodness of these brownies (or cheesecake — I can’t decide which it should really be), it seems like a good time to take a quick look at what’s been happening in my blog world this past year. I’ve learned so much since starting this little adventure and never dreamed how much fun and how many new friends I would make in the process! 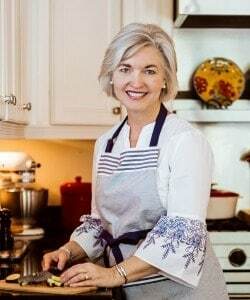 I’ve been very fortunate to become a contributor over at The Weary Chef (my Easy Brunswick Stew is featured on the front page today!) and am so grateful to Andi for all the faith and encouragement she’s shown to me. It’s been a real growing experience for Life, Love, and Good Food. My blog had a make-over with a new WordPress theme from Restored 316 – Lauren Gaige has some beautiful designs and I’m thrilled with the new look. Life, Love, and Good Food joined the Mediavine Publisher Network which makes me feel like this little blog hit the big time! 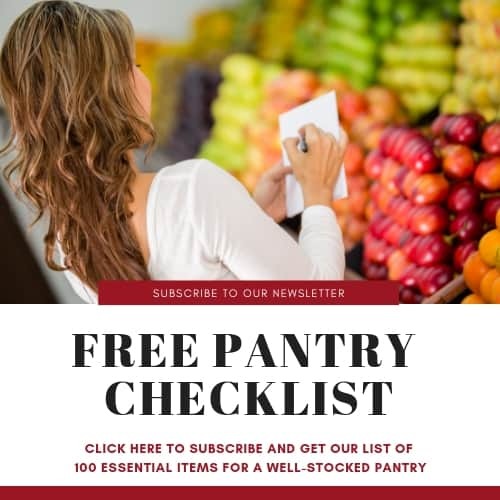 I’ve worked with some really awesome brands like Kroger, RevolUSA, BakerStone Pizza Oven Box, and Carando doing product reviews and sharing more good food — a definite bonus! 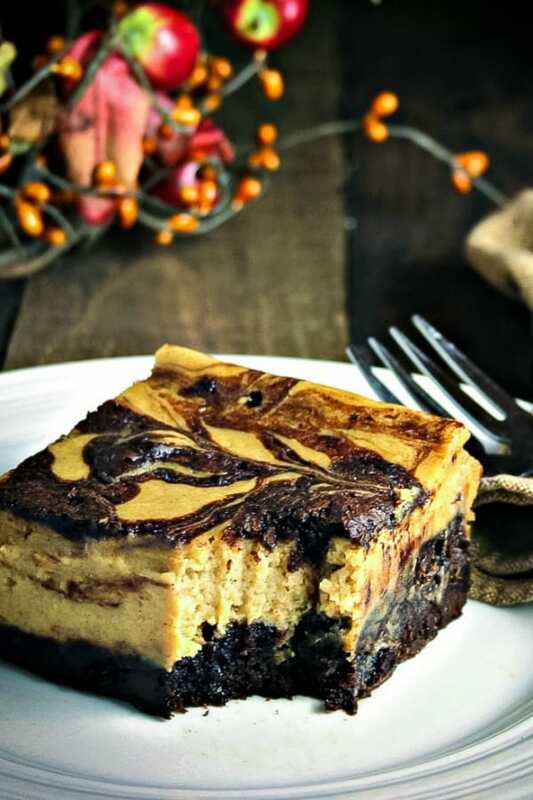 DID YOU MAKE THIS PUMPKIN CHEESECAKE BROWNIE RECIPE? If you like this recipe, please do me a favor and give it a 5-star rating! And, if you’re into sharing photos of your cooking adventures, tag @lifeloveandgoodfood on Instagram and hashtag it #lifeloveandgoodfood. Happy cooking, friends! In small bowl, stir together pumpkin, spices (cinnamon, ginger, nutmeg), and 1/4 teaspoon salt. Set aside. In a separate bowl, beat the mascarpone cheese and cream cheese with 1/4 teaspoon salt for 30 seconds. Add pumpkin mixture and mix until just combined. Add sugar, flour and vanilla, and mix until just combined. Add egg yolks one at a time, and beat until incorporated. Set aside. Preheat the oven to 325 degrees. Butter the bottom of a 9 x 9-inch baking dish and line with parchment paper. Whisk together flour, cocoa powder, baking powder, and salt in a large bowl. In separate bowl, stir together the melted butter and sugar. Whisk in eggs and vanilla until incorporated. Stir in chocolate chips, then slowly add flour mixture to egg mixture. Mix until just combined. Reserve 1/2 cup brownie batter. Spread remaining brownie batter evenly into prepared pan. Pour cheesecake mixture over brownie batter. Use a spoon to make 3 to 4 lines with reserved brownie batter on top of cheesecake layer. Use a toothpick or small knife to swirl brownie batter lines into cheesecake layer. Bake for 45 minutes or until top of brownies is just set and tester comes out mostly clean. Cool completely and refrigerate to chill before serving. What can you use instead of the egg yolks in the cheesecake portion?